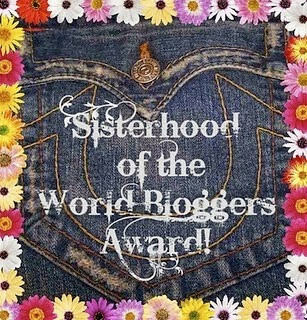 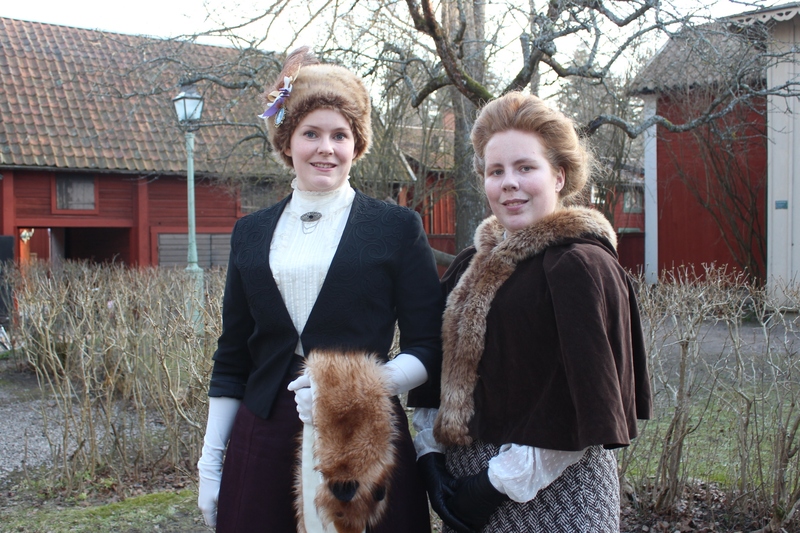 I love attending events with my sister/sisters. 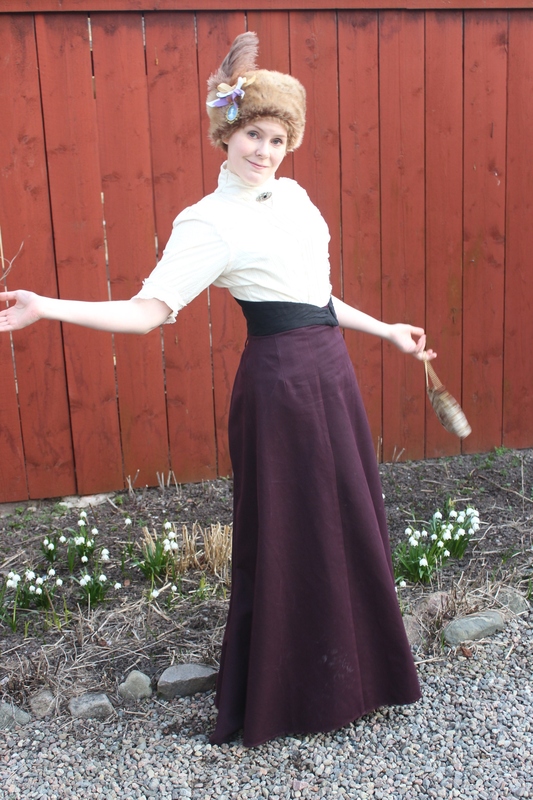 It’s so great having a companion in this crazy costuming adventure. 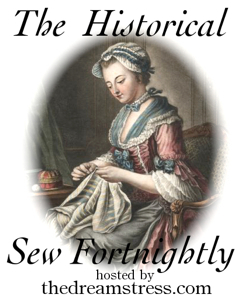 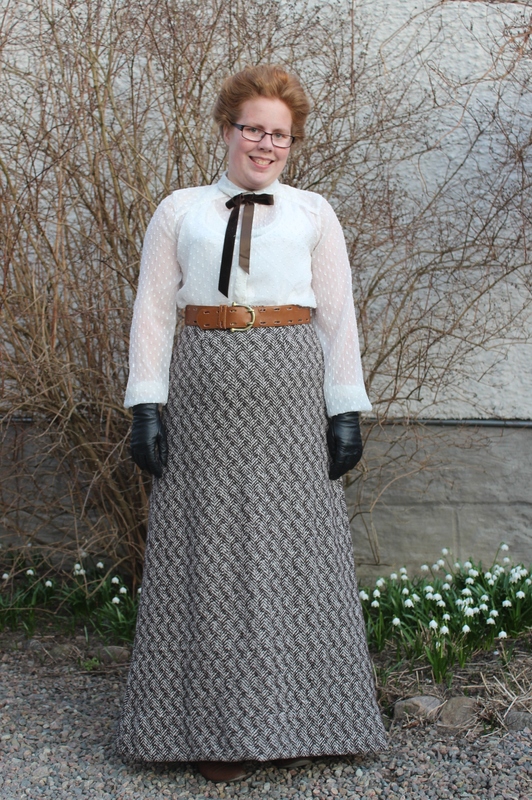 Someone who love dressing up as much as me, and who gets the work and planing goes into making an historical outfit with all it’s accessories and seemingly uncomfortable pieces (non les putting it on). 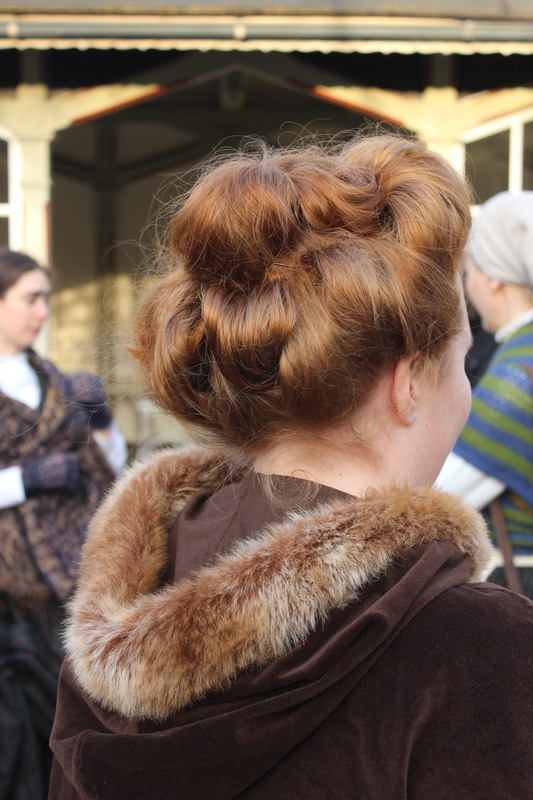 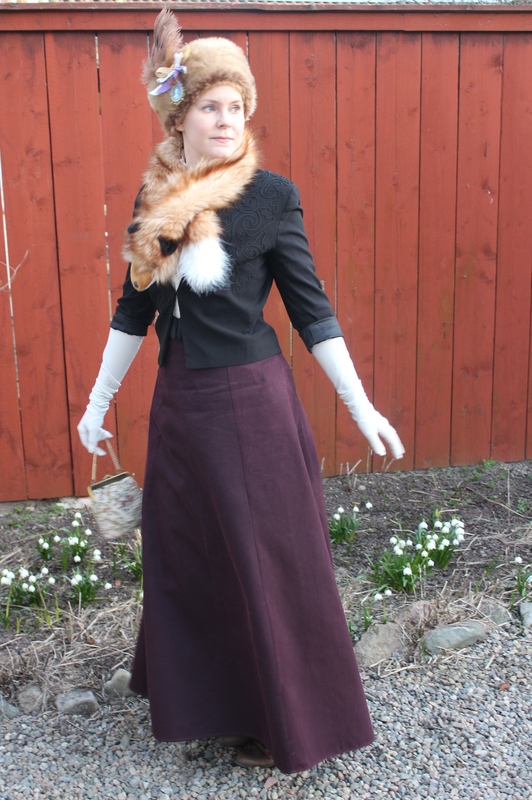 And since I was to wear Edwardian we decided that so should she. 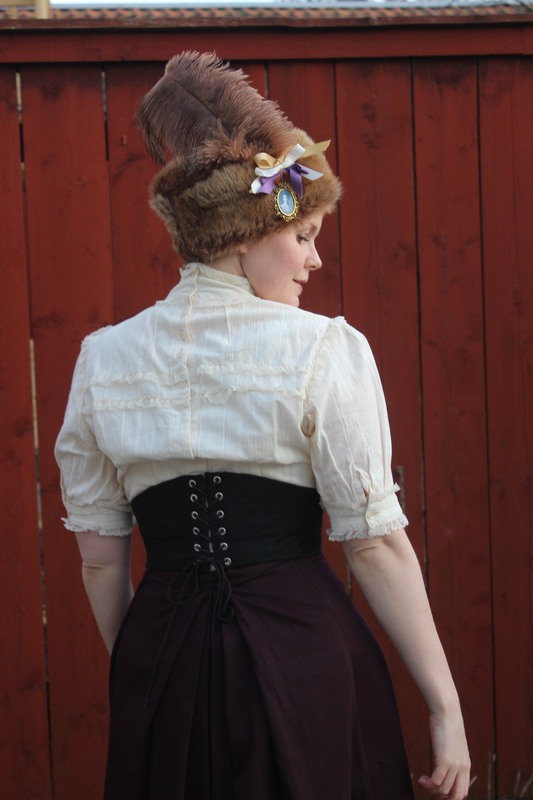 We helped each-other lazing the corsets and button those buttons, and then we were of (only half an hour to late, ops). 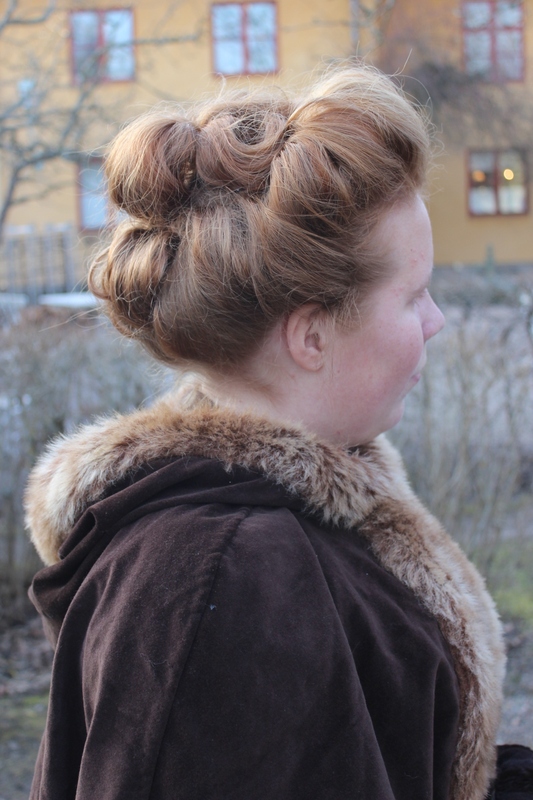 I blame my sisters hair for taking to much time, but really, it just take a lot of time getting into all those layers. 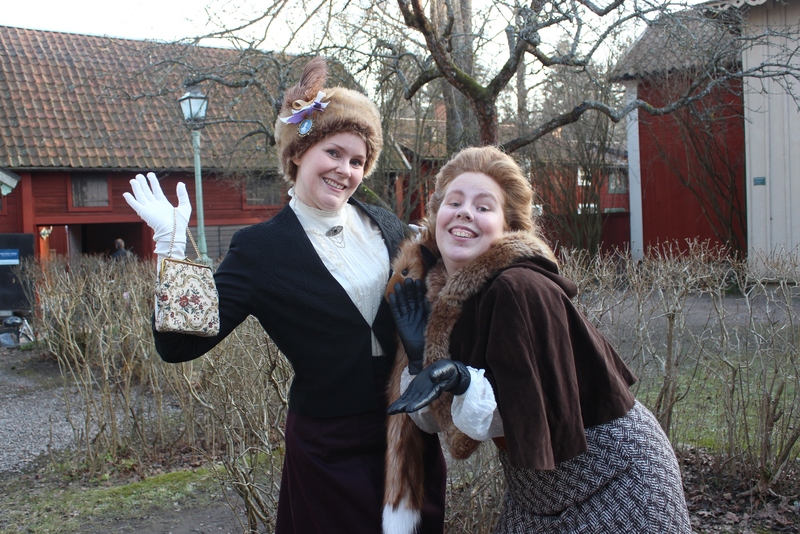 After saying our goodbyes to the others, we stopped for some quick photos of our costumes. 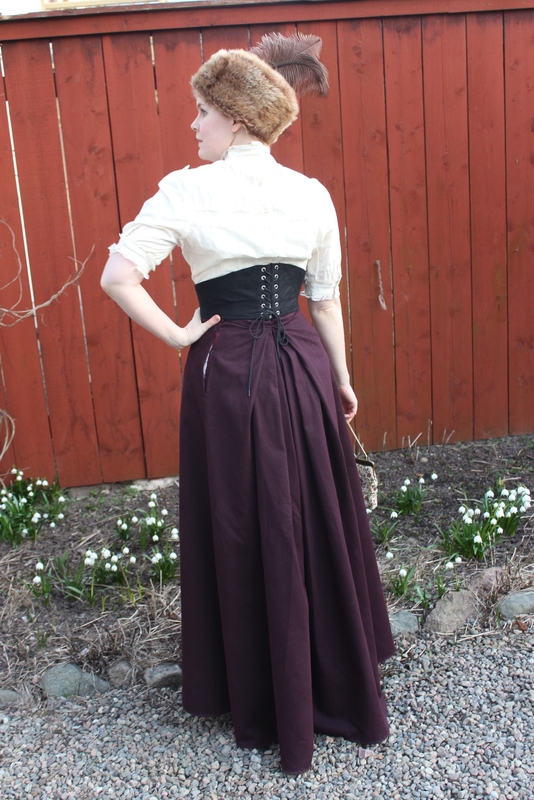 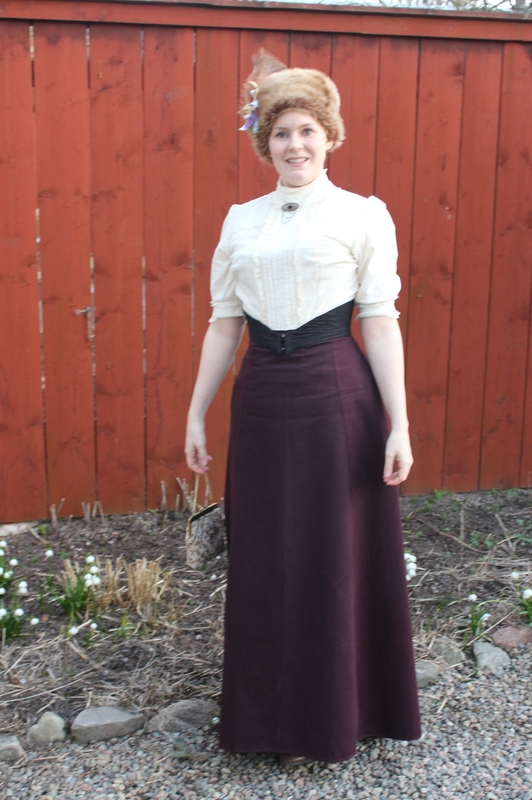 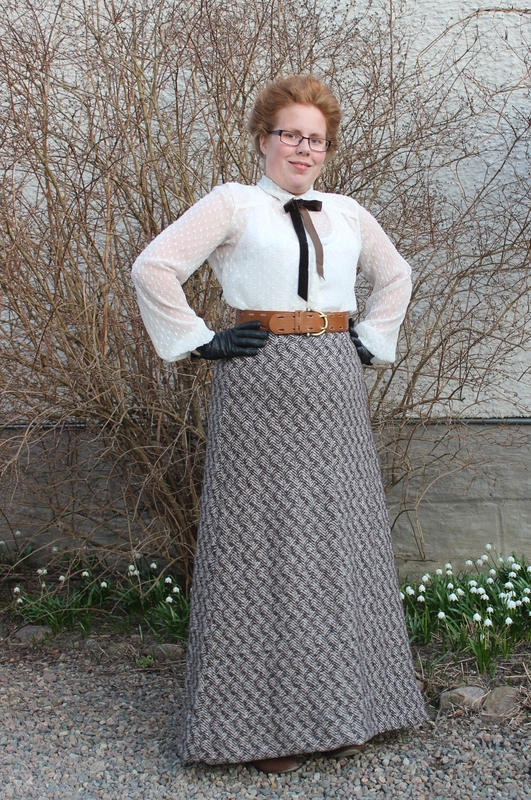 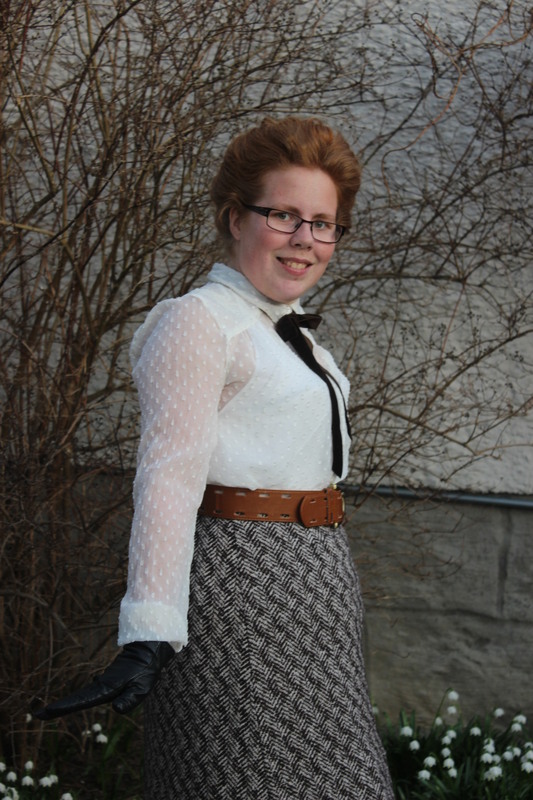 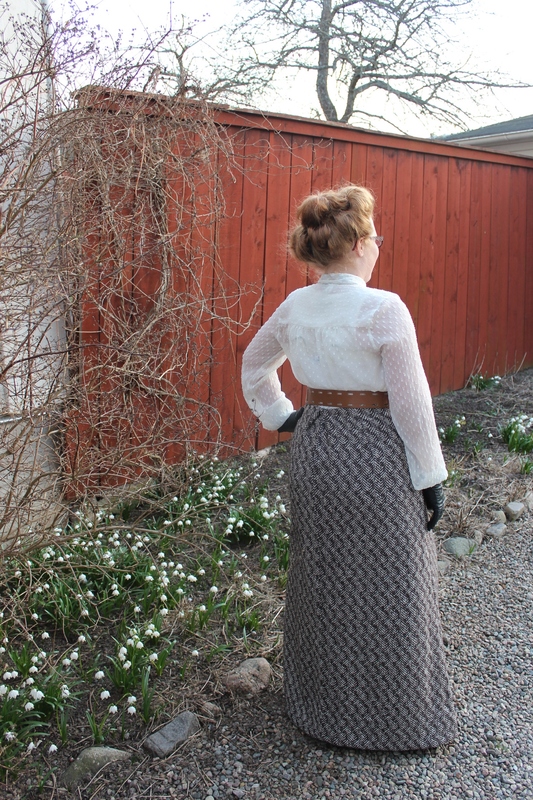 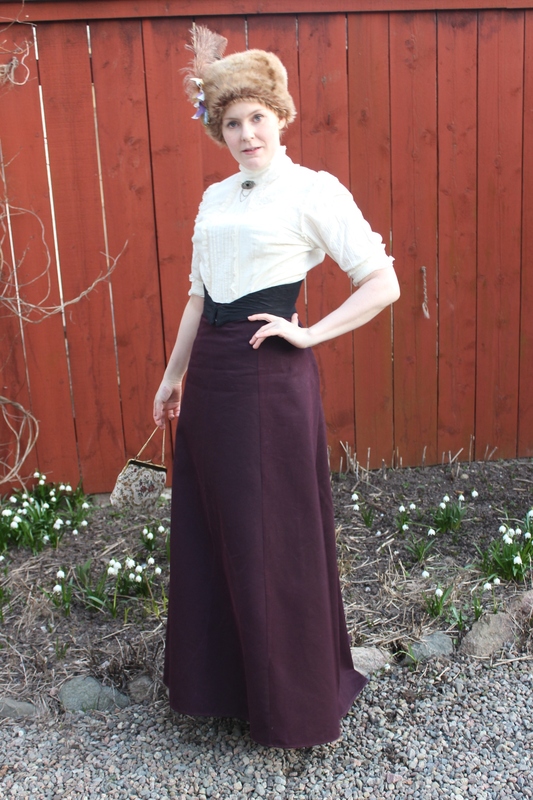 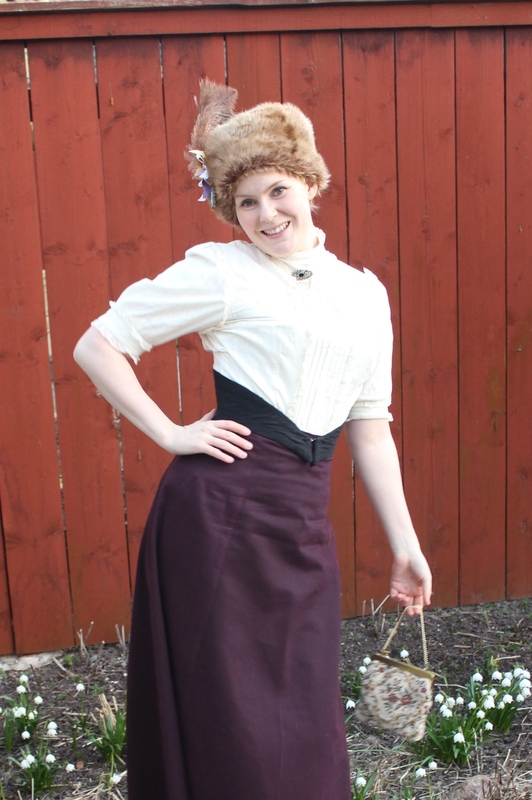 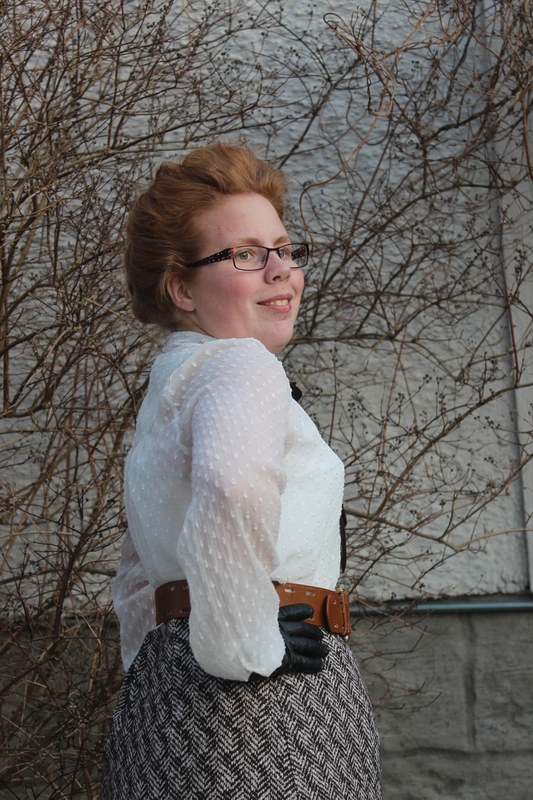 Sis is wearing the newly made walking skirt, a modern blouse, over my 1880s corset and combined with a modern belt and a ribbon for necktie. 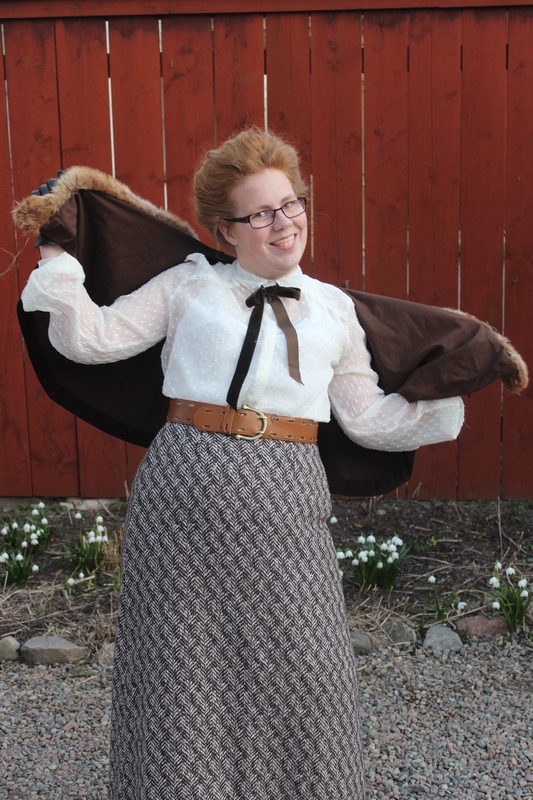 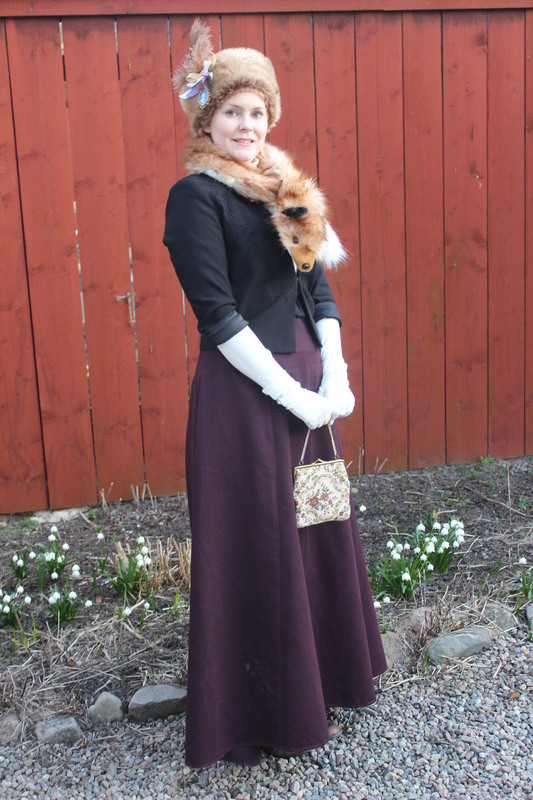 I’m wearing my suffraget skirt, modern jacket, Edwardian blouse, 1900s corset and several accessories like a fur hat, modern fur shawl, elbow length opera glows, my black swiss-waist and an 1950s embroidered bag.